After the Eastern School’s initial approval by both the NJ Dept. 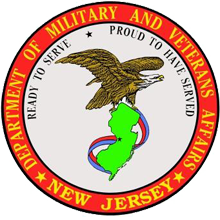 of Education and Labor and Workforce Development in addition to approved by the NJ State Approving Agency for Veterans guitar repair training in August of 2010. Students may make applications to their perspective state for vocational training aid.The Eastern School has successfully and continuously stayed complaint with the federal government’s 2 year observation guidelines to be eligible to receive the FAFSA funding. The Eastern School of Fretted Instrument Repair is working diligently on acquiring the additional accreditations necessary to successfully establish a FAFSA account. So in an attempt to help students who had shown interest in attending the repair course, but would need some sort of funding assistance, the Eastern School has implemented several personally based flexible payment options. Based on individual eligibility, some partial funding may be available. Past students have had success with partial funding through their local municipal and county level career and education departments. Though we are not capable of providing federal financial aid at this point, The Eastern School of Fretted Instrument Repair ACCEPTS ANY/ALL FUNDING WHICH IS DISTRIBUTED TO ELIGIBLE STUDENTS FROM ANY AREA/DEPARTMENT/PROGRAM. Certified copies of state and VA approvals are available upon request to assist students in applying for funding through any institutions such as personal banks, credit unions, and lending agencies etc. Ebenefits All Veterans benefits for Veterans Guitar Repair Training, qualifications and requirements can be found here. You can apply online for benefits. Financial Aid information will be added and updated as it becomes available. Approved Veterans Guitar Repair Training.